Be Artsy This Weekend in Vienna and Beyond! 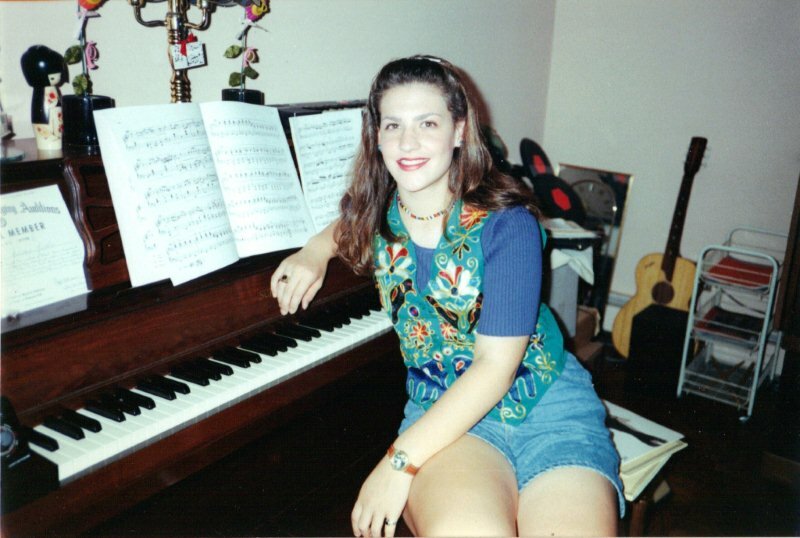 With 10 years of piano lessons under my belt, I maintain an allegiance to music and art in my parenting approach. While it has been an achingly long time since I studied Brahms or Beethoven myself, I manage to hammer out some remnants of classical music for my daughter or play her some Billy Joel – lest I forget my Long Island roots. I try to teach her the difference between white and black keys, high and low notes, and loud and soft sounds. Basic stuff that I hope will get her interested in music. For musical inspiration this weekend, check out the Vienna Choral Society’s concert, “Seikilos to U2: A Tour Through Music History” this Saturday, May 19 at 7:30pm. The show is at the Unitarian Universalist Congregation of Fairfax (the group doesn’t have a religious affiliation, though) at 2709 Hunter Mill Road, Oakton. There’s a pre-concert talk by Creative Director Jennifer Rodgers Beach at 7:00pm. Tickets range from $15 – $35 depending on your age and group size. Purchase tickets online or at the door. And it’s a concert for a cause! Like so many needs in our public schools today, this concert will support arts education in Fairfax County and beyond. I just heard about another opportunity to help youth experience the arts: the Institute for the Arts is a four-week arts enrichment summer program offered by Fairfax County Public Schools, for rising 7th – 12th graders. There’s also an Elementary Institute for the Arts version that’s a two-week program for rising 4th – 6th graders. Seems pretty cool! We love reading Bug the book, Zin! Zin! Zin! A Violin. It’s an introduction to the instruments in an orchestra and the experience of seeing a concert. The pictures are gorgeous and I always get choked up at the end when we wish our new friends (the instruments) a fond good night. It reminds me of the first time my Grandma took me to hear pianist Michael Feinstein play in concert – I was maybe 10? I felt so special sitting quietly with the adults, hearing this wonderful music. I hope that Bug will have that experience one day, too. While we still haven’t figured out how to make babysitting work for our family, I enjoy the rare visit to the Kennedy Center or Wolf Trap. I missed local blogger Anna Whiston-Donaldson‘s performance in the Listen to Your Mother series last week at Synetic Theater, but I bet it was pretty cool. I hope you find the music and art in your days, too. I attended the Vienne Choral Society’s performance noted above. WOW! What a show! The director, Jennifer Rodgers Beach, is really amazing. She has such a vast knowledge of music history and presented it in a fun and accessible way. It reminded me very much of my years at the piano, practicing music from the different time periods of history. Bravo! Zin! Zin! Zin! A violin is a fantastic book. Thank you for all the cool tips about happenings in and around Vienna. And a shout out to you, Noctiluna. You are DEFINITELY artsy! I love your t-shirts! I was very glad to see you selling them today at Viva! Vienna! Hope the rest of fair is good for you. :) thanks for all the support!